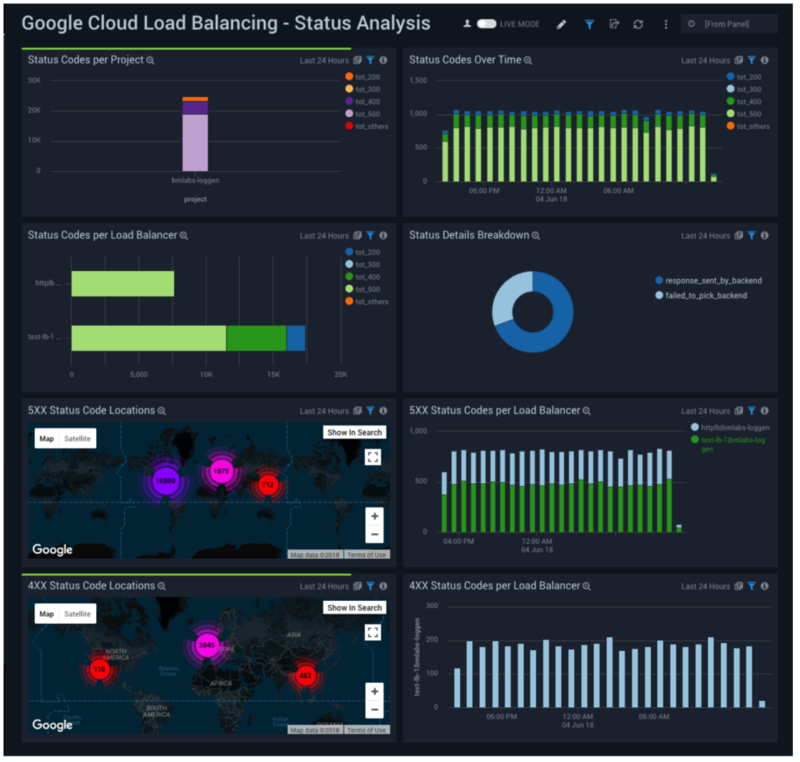 The Google Cloud Load Balancing overview dashboard provides visualization into Balancing activity, including request locations, browsers and operating systems used, error status codes, requests by load balancer, bytes sent and received, and message severity over time. 4xx and 5xx Status Codes. 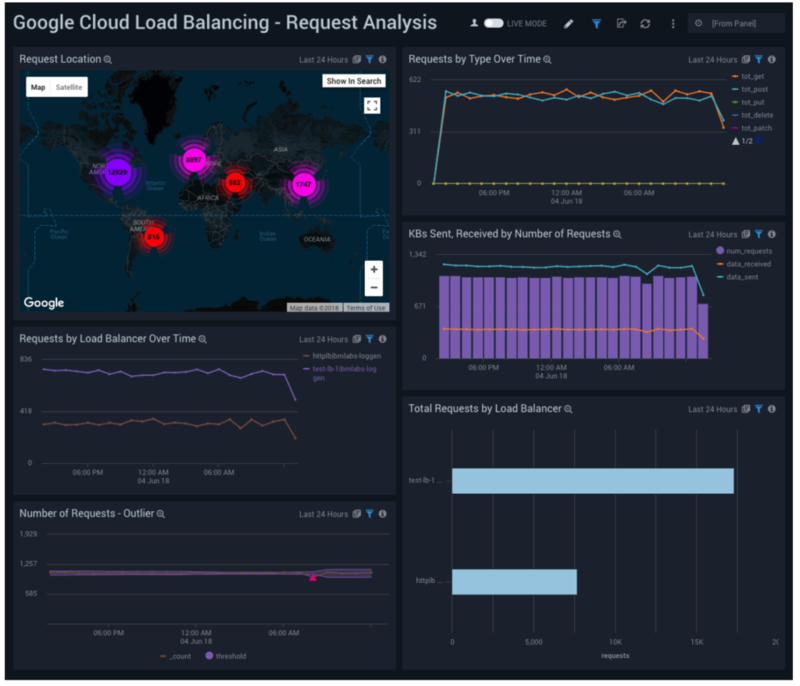 The Google Cloud Load Balancing Request Analysis provides real-time insights into request activity in Google Cloud Load Balancing, including request locations, requests by type over time, requests by load balancer over time, KBs sent and received by number of requests, and total requests by load balancer. 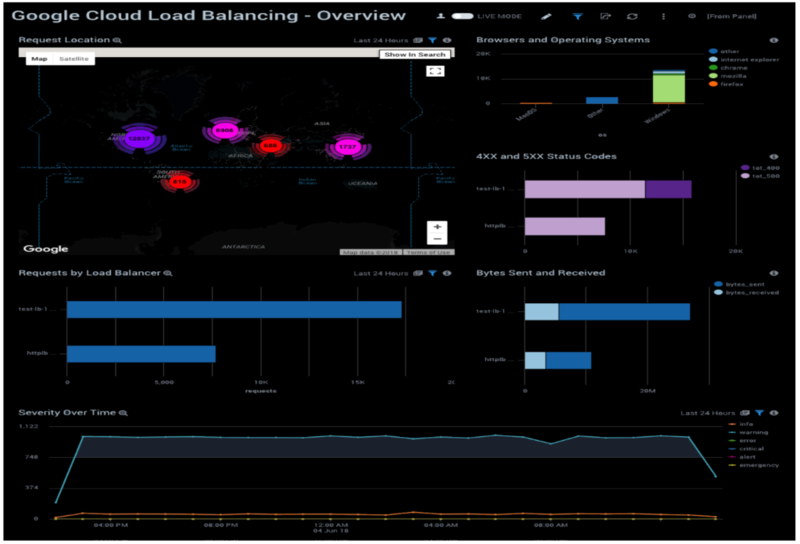 The Google Cloud Load Balancing Status Analysis Dashboard provides dynamic information about the status of requests in Google Cloud Load Balancing, including status codes per project, over time, and by load balancer; location of 4xx and 5xx responses; and 4xx and 5xx responses by load balancer.